Chang Lo (or) Sua Lua: This dance of the Chang tribe of Nagaland was performed to celebrate the victory over enemies in the earlier times. Presently, it forms a part of all the community celebrations, such as Poanglem, a three day festival preceding the harvest season. 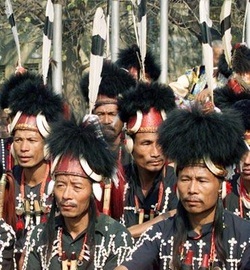 There are dramatic costumes of the traditional Naga warrior and finery of womenfolk.